Welles Library from October 2nd through October 30th. On October 10th, the NAL will host an opening reception from 1 – 3 p.m. The show offers a wide variety of media, subject matter and painting styles. Many of the pieces of art exhibited are also available for purchase. artists informally met in members’ homes. It is located on the second floor rear of the Kellogg-Eddy House and Museum at 679 Willard Avenue and is a 501(c)3 non-profit art organization. annual member shows in April and October, NAL also participates in community events and awards a scholarship each year to a Newington High School senior. It is not necessary to be an artist to join the NAL is open to anyone with an interest in the visual arts. 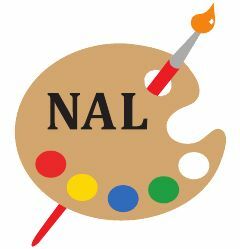 For information about member benefits and meetings, a calendar of upcoming events and art demonstrations, or samples of artists’ work, please see NAL’s website, www.newingtonartleague.org or call President Pat Tanger at 860-666-5026.